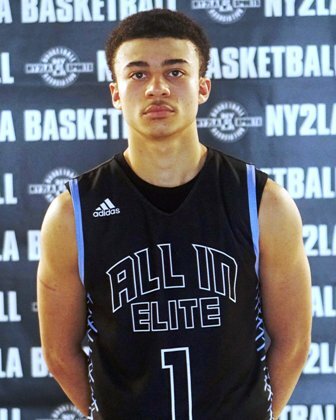 Playground Elite’s Johnathon Braggs has solidified himself as one of the standout players in his class in the GNBA, averaging 14 points and 8 rebounds per game and controlling the paint each game, but teammates Kolin Fischer and Delone Austin have come on strong as well, and their play could be the x-factor in leading PGE through the first round. However, the Barnstormers are a tough team and will do what they can to halt PGE’s plans early on. Hogan Hanson (9.1 ppg) will lead the charge on their end along with previous addition Marcus Morgan who averaged 13 points and 9 rebounds per game in the last session they played. Kyle Kelley and others could also have big impacts on this one as well if they can bring the same level of intensity and hustle they did previously. The Rising Stars have been unstoppable so far, led by a premier 5th grade player like Blake Peters (14.4 ppg) and being helped along with steady play from Kevin Miller, Patrick Baldwin, Jaylin Gibson and more. They spread out their attack really well and will be tough for teams this age to match up with their depth. The Spartans though will give it a try Friday evening, especially if they can get more sensational performances from players like Justin Smith who had a fantastic final session, averaging 20 points per game. He will need help from others though in order to take out the undefeated Rising Stars to open Championships play. Sam Ver Steeg has been stout for Kingdom Hoops so far and he will need to keep up his hot play Friday night for the Iowa team to make their run. He is averaging nearly 12 ppg and with help from teammates Ryan Riggs (11 ppg, 7.2 rpg) and Justice Sullivan who is tackling rebounds, Kingdom will be very competitive. Standing in their way Friday is a Kessel Heat squad that has had some strong games themselves. Trey Baker (14 ppg) and Conor Enright (12.4 ppg) are in control of the Kessel attack, and with the help on the boards from players CJ Boborek and Darius Clemons, Heat will also be in the mix and could shape this game into an exciting contest between two similarly built squads. The Predators are led by a couple up-and-coming prospects in Terrence Harris (9.9 ppg) and Maki Rose (8 ppg). Doing a lot of the dirty work on the boards would be Collin Harden and Kendall Debrick who are each averaging more than 6 rebounds per game and they will need similar efforts Friday night for a chance to upset IL Rise who has been on a tear mostly in the GNBA. Bryce Hopkins is a phenomenal young player who can score in different ways and has a top motor, averaging 18 points and 8.5 rebounds per game currently. Alongside Hopkins, Rise has a great “supporting cast” with Jordan Young-White (10.8 points, 8 rebounds per game) coming on strong as well as Amarion Savage playing really well. Thus, if Rise continues as they have been, they will be a challenging out for any team. PowerGroup has had a strong run in their 5th Grade division and will work to keep their momentum going against a tough and talented PGC team. Mark Mitchell spearheads the KC attack with his work on both ends of the floor, having grabbed 40 defensive rebounds through the 8 games, but also being a terrific finisher around the basket. He is averaging nearly 15 ppg, but PowerGroup will also need others like Matthew McIntyre and Jack Hutchinson to continue developing their play in order to win Friday. On the other side, the Warriors have a solid young group also, averaging nearly 50 points per game as a team. 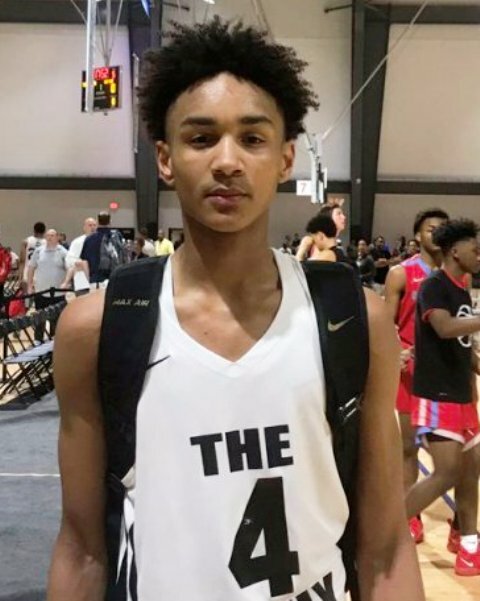 Kobe Johnson has been on a tear, averaging 15 points and 3.6 assists per game, making the big play when his team has needed it, but also sharing the basketball and getting his teammates in the mix. Pat McGinnis has been a rock with the ball also shelling out 3.2 assists per game, as well as emerging prospects like Matt Cartwright and Mason Dorn who have been performing at higher levels. This has the potential to be a very competitive and exciting game to watch opening night in the 5th Grade division. These two squads are fairly equal in their makeup as far as balanced attacks go. Speed really mixes it up offensively and goes with the hot hand from game-to-game, though Max Reese (9.3 ppg) and Trey Pettigrew (8.5 ppg) have stood out at times as leaders for the team. On the flip side, the Jets spread out their scoring some too, but have been a bit more productive in their conference having put up roughly 50 points per game. Dontay Goodwin Jr. has been outstanding, averaging a double-double (15 points and 10.4 rebounds), but SW has also gotten solid production out of youngsters like Ethyn Brown (11 ppg), Tommie Williams and others from game-to-game. This will be a good test for either team who advances to test what they are made of moving forward. Top Flight has been pretty dominant through their first 8 games of the GNBA, but surely look forward to taking on the competition at the Championships beginning against REACH on Friday night. Kendall Brown has been exceptional (12.8 ppg) and those around him have continually progressed each session. For REACH, they do a good job of competing and working hard. Tyson Accuff has shown flashes of making big plays for his team, averaging 13 points and 7 rebounds in the four games he played, but others like Jake Lansaw (8.7 ppg, 9 rpg), Deon Hayes and crew will look to impact the game as well. Besides Brown, REACH will also have to work hard to keep Riley Mahlman from dominating the game on the glass where he averages 7.5 rebounds per game (22 offensive rebounds). RAS comes into the Championships rolling with a 7-1 record, but will face cross-conference foe Nebraska Hoops Friday night, where the winner keeps their title dreams alive. Tanner Resch and Cameron Palesse have been the rocks for this team so far, both putting in around 10 points per contest, but the team overall has been balance and they can run their bench deep. Nebraska though has also been solid throughout their sessions and have a couple burners who can fill up the hoops in a hurry when they get going. Gabriel Hepburn is putting in 13.2 ppg right now while also sharing the ball around, and St. Cyr Thomas is also up over the 11 ppg mark. Nebraska averages 57 points as a team per game and will keep the ball moving to give RAS a run opening night.